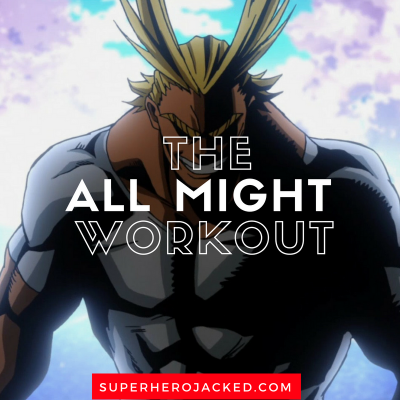 The All Might Workout Routine: Train like you have the One For All Quirk! 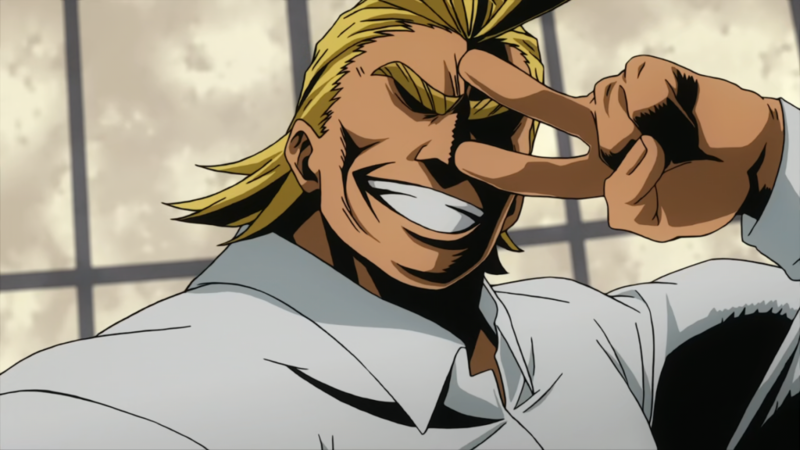 All Might was our most requested character after our last “Anime Week”. If you did, though, we had Mikasa from Attack on Titan and One Punch Man! And last week we transferred over and had a Mortal Kombat week with Scorpion and Sonya Blade, but now I’m back for more anime; and I might even do two weeks in a row I’m so excited for it! And the SHJ Army would not let me get away with doing any other character other than All Might to get us started up again! While in his true form he isn’t as much of a monster, this article is going to be based mainly on his One for All “All Might” form. Wolverine holds the shortest spot among comic characters we’ve seen at 5’3, but Damian Wayne is only an inch taller. One Punch Man falls next on the list at 5’9 – with Spider-Man, Daredevil, and Green Arrow coming in around 5’11 and Beast joining them. Yeah, that means All Might is the tallest, only sometimes surpassed by The Hulk! Well, that’s not completely true, but I also want to mention something that is really important for those of you who are looking to put on All Might-like mass. So, EAT like All Might would!!! And now for what I like to refer to as “the fun part”. For those of you who utilize these character workouts we make, you’ve probably seen me say that time and time again. This is where I get to research the “how” and “why” behind how we’re going to make the routine itself. Basically, I get to go through the powers and abilities of the character, in this case: All Might. Toshinori Yagi most commonly known by his hero name, All Might, is the tritagonist of My Hero Academia. All Might is the former No. 1 Hero who bore the title of the world’s Symbol of Peace. He teaches Foundational Hero Studies at U.A. High School. 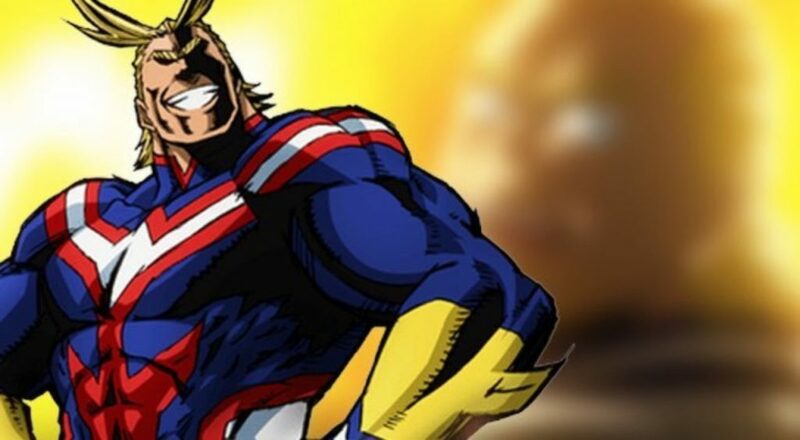 All Might was the eighth holder of the One For All Quirk after receiving it from Nana Shimura. He has since passed the torch to Izuku Midoriya, whom he is grooming to be his successor. In his “muscle form”, All Might is a very large man with an equally muscular and well-defined physique. His design resembles a typical western comic book superhero. He has short blonde hair with two distinct bangs that stand up over his head. All Might’s hair often casts a dark shadow over his face, hiding everything but his deep blue eyes. All Might is recognized to be the strongest hero in the world. Which seem like things we definitely want to be revolving a workout around! We’re going to do a 5 day split that’s going to be based around our compound lifts for each body part, and then we’re going to do some arms and some more Olympic styled lifts for the extra speed.